Season the beef tips lightly with salt and pepper and place them in a slow cooker. Stir together the stock, soy sauce, sriracha and garlic in a small bowl and pour over the meat. 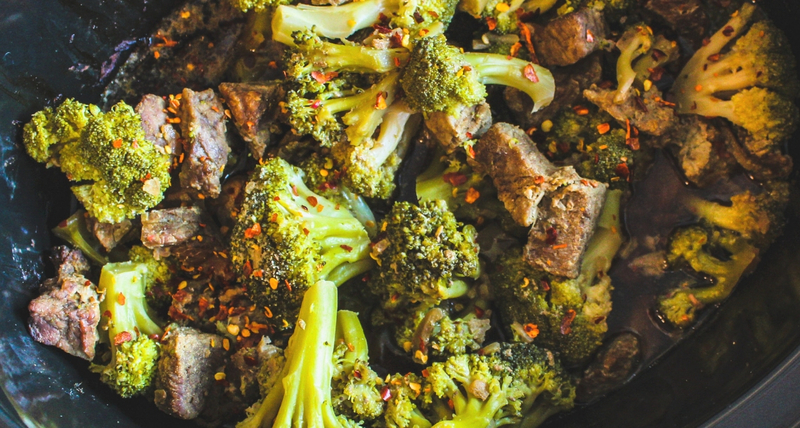 Mix in broccoli, cover, and cook for an additional 30 minutes. Note: Pairs well served over cauliflower rice.